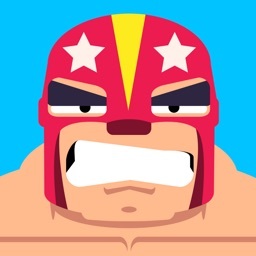 Wrestling fans will definitely want to take a look at a new game recently arriving on the App Store. As you could probably tell by the name, Rowdy Wrestling is all about the fun and chaotic sport. Featuring a retro, 8-bit graphics and a throwback soundtrack to match. There are 55 different characters gamers can play with in the ring. And since its a wrestling game, you’ll be able to do all types of different moves like drop kicks, overhand smashes, steel chairs, and more to stun your opponent. Then it will be time to toss them out of the ring. Along with a solo career mode, you can battle as a pair in Rowdy Wrestling’s tag team mode.You can also try to be the last man standing in rumble mode. Designed for the iPhone and all iPad models, Rowdy Wrestling can be downloaded now on the App Store for free. An in-app purchase of $1.99 will remove the pop-up advertising. Live out your WWE fantasies in this fun wrestling game that features 55 characters and a number of different play modes.